If you have been following the blog for some time you probably noticed that when temps start to rise my style tends to get a little Boho. 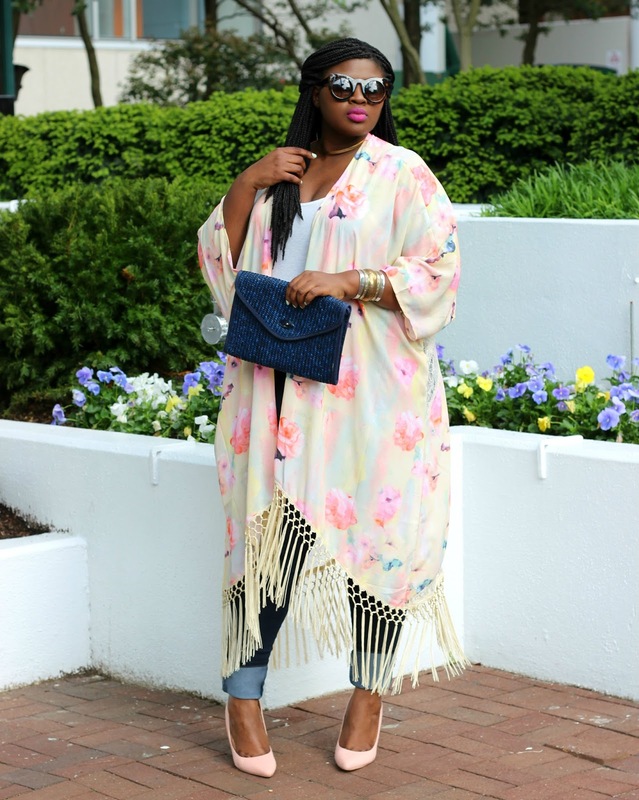 I love Kimonos because they just add flair to my basic looks (see Kimono look-book) also they are non matronly way to cover up when your arms arnt your best feature. 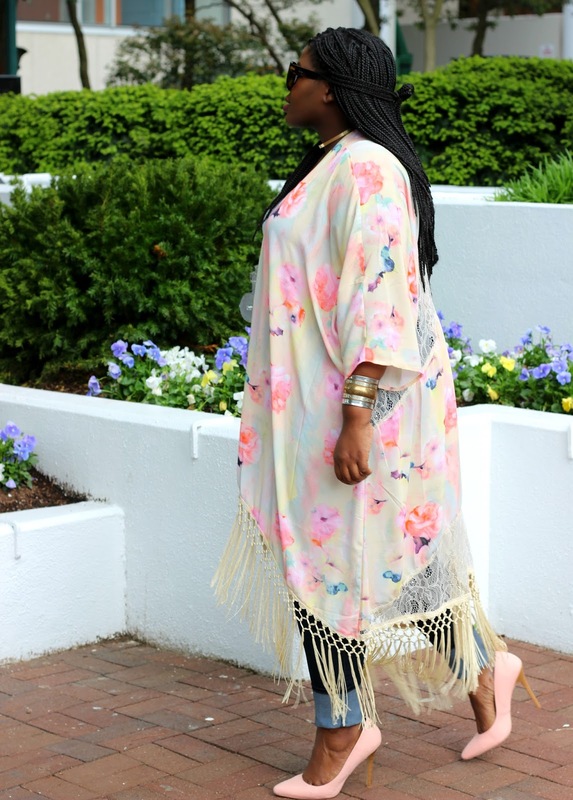 So when I saw this gorgeous Kimono on Nordstrom’s website I did not hesitate to add to cart. I think my favorite feature on this Kimono is the lace (very delicate) insert in the back, it’s pretty & practical, perfect for cross ventilation so you dont overheat during the summer. Now I know most of you did not come here to hear about the Kimono. So let’s talk about these Fashion Nova high waist skinny’s. It has faux pockets in the front, is VERY stretchy like JEGGINGS and my tall girls will be happy to know that at 5’8 I still had to cuff the Jeans. If you would like to see the in-depth review (if they’re worth the hype & what you might not like) on these Jeans as well as the other products that Fashion Nova carries see this VIDEO. I kept the look simple, keeping the Kimono the star, by pairing it with a Cream Tank (luv this eyelash Lace Version) my Fashion Nova Jeans and rose quartz Pumps from ShoeDazzle. Have you tried Fashion NOVA? If you have let us know your experience in the description. P.s Come back Thursday for the requested size 11 shoe round up, and if you’ve been following me on Snapchat you know I’ve been doing some serious hauling for my summer series on YouTube. 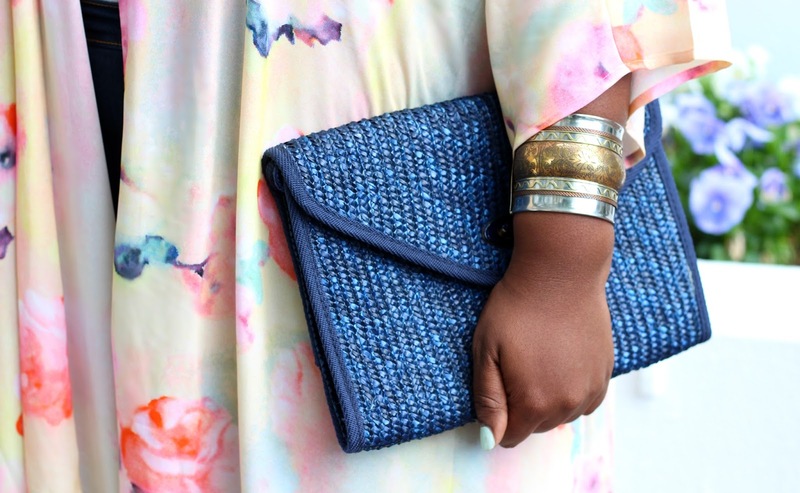 This series will include a Swimwear, and Maxi Dress round up(review). I will also be continuing the Try the Brand series which will include stores like Fashion Nova. Make sure to Subscribe Here and Here so you will be the first to know when it ALL begins. By the way Forever21 is having a summer sale up to 20% off sitewide!! An inspiring collection of leather jackets and coats each beautifully crafted in a choice of lovely soft nappa leather, supple nubuck (velvety sude) or luxurious shearling. full range of leather styles.